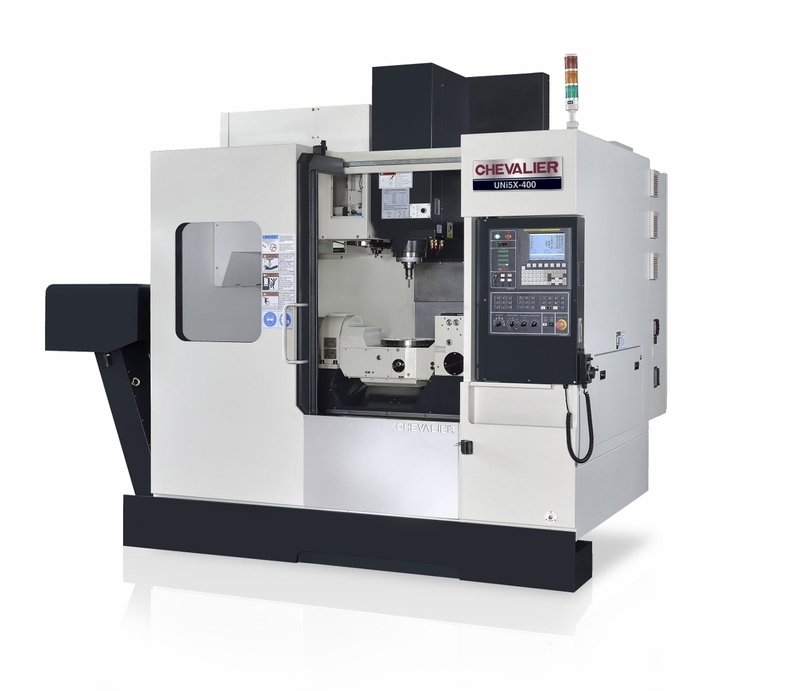 5-Axis high speed VMC that offers better accuracy, more productivity, less manpower and higher profitability. A one piece inverted Y-shape column design offers superior rigidity and stability. The pre-tensioned Class C3 ball screws are used in all three axis. All servo motors are directly coupled to ball screws, increasing movement sensitivity while dramatically reducing backlash. A large-diameter BBT spindle design uses four-piece of P4 Class and high-precision angular-contact ball bearings to increase spindle rigidity and loading capability and to maintain high accuracy during high-speed machining.